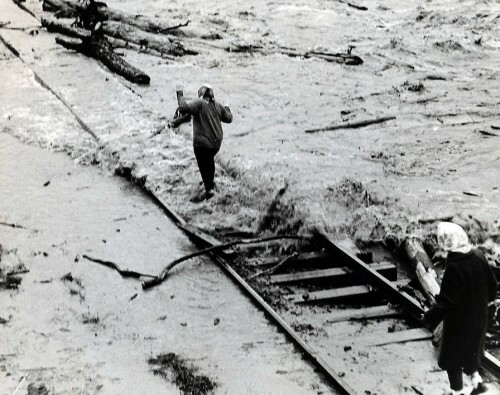 Another photo from the Great Flood of 1964. On Christmas Day two women walk along the railroad tracks. This photo was taken at Rocky Point, where Sallee Road meets Row River Rd. The railroad tracks are now the Bike Trail.